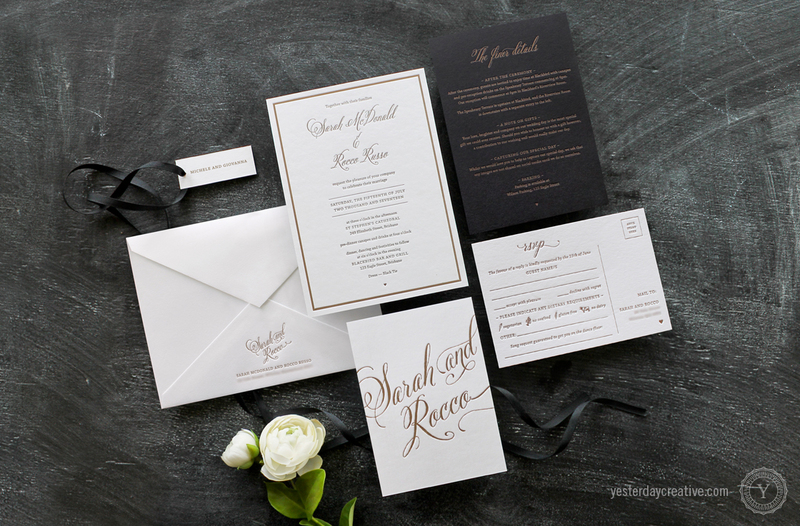 Custom heart script in vintage metallic gold. 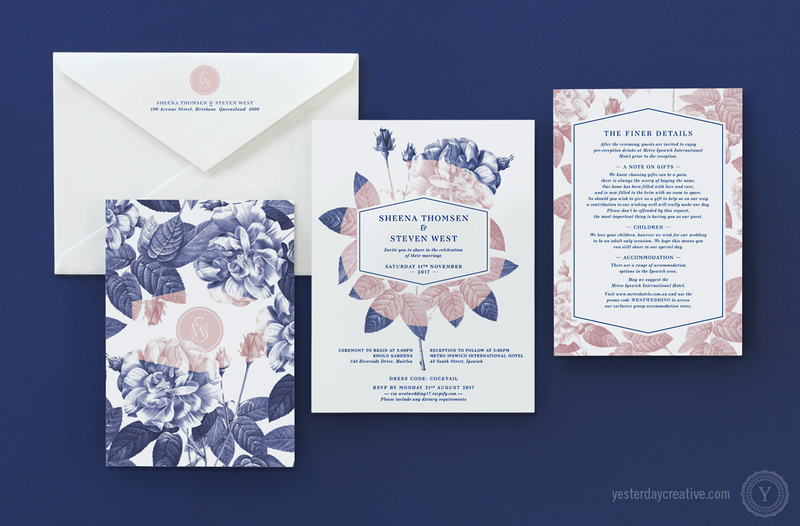 Vintage rose illustrations with blush pink & navy overlay. 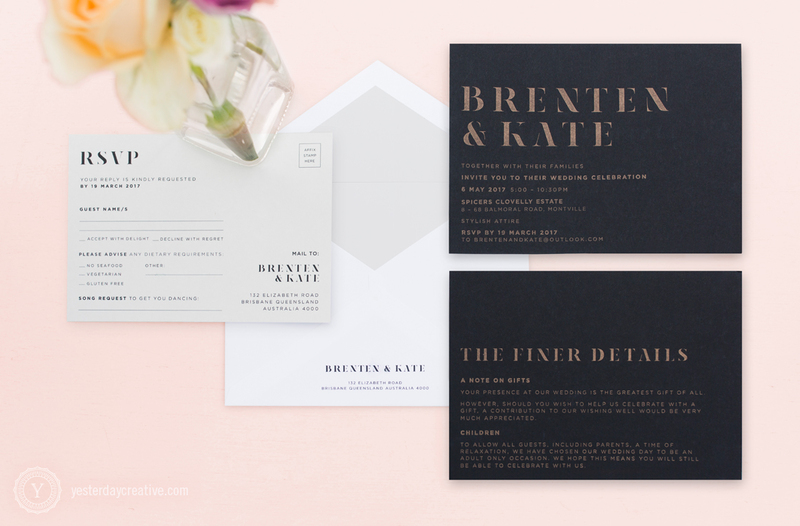 Modern urban design in metallic gold ink. 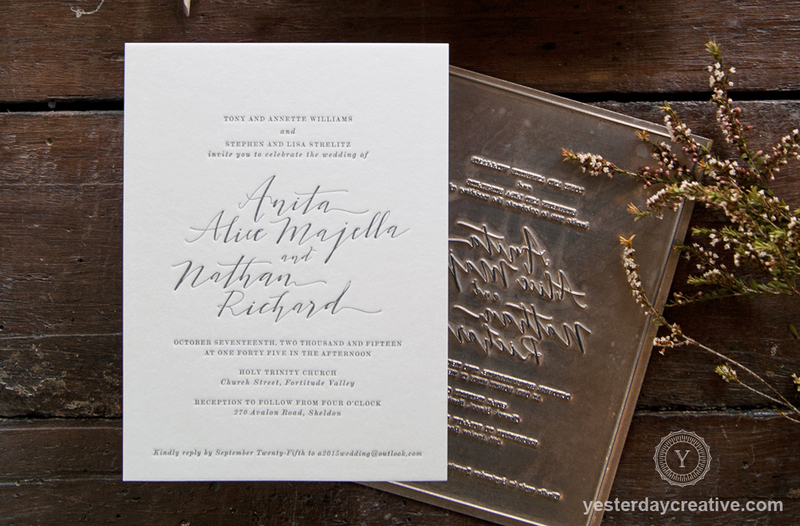 Embellished script with heart detail and vintage details. 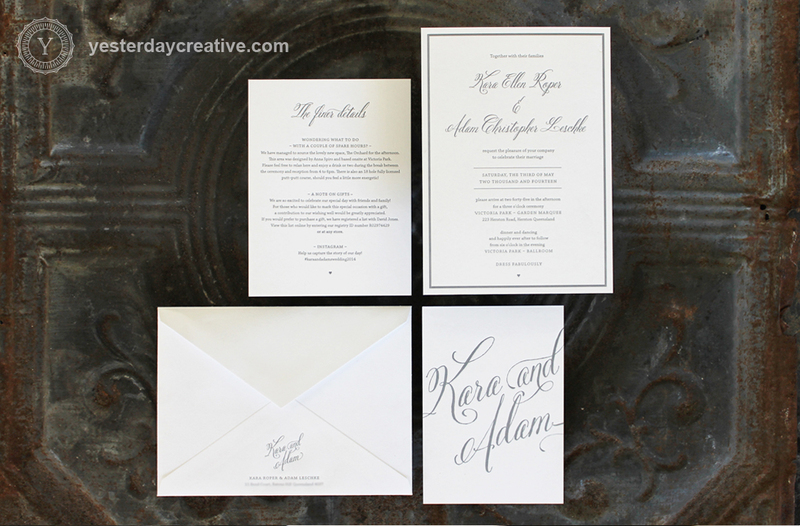 Metallic gold ink on black and white paper. 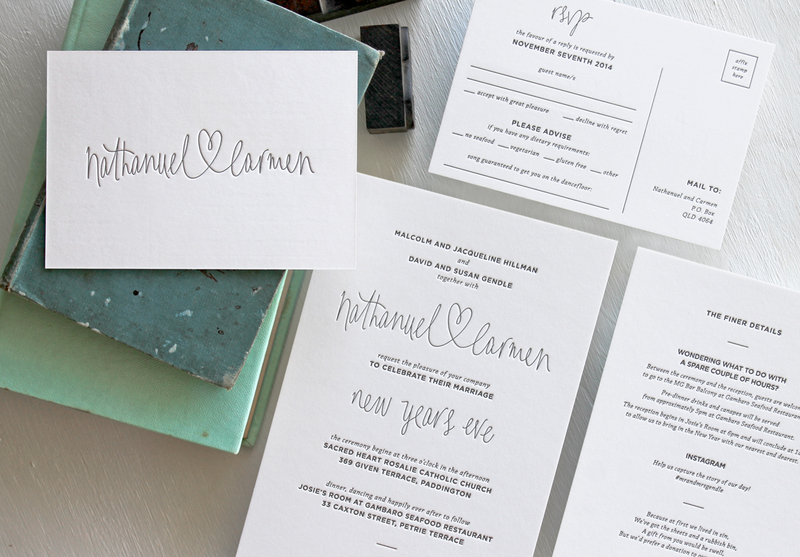 Hand script paired with modern typeface for details. 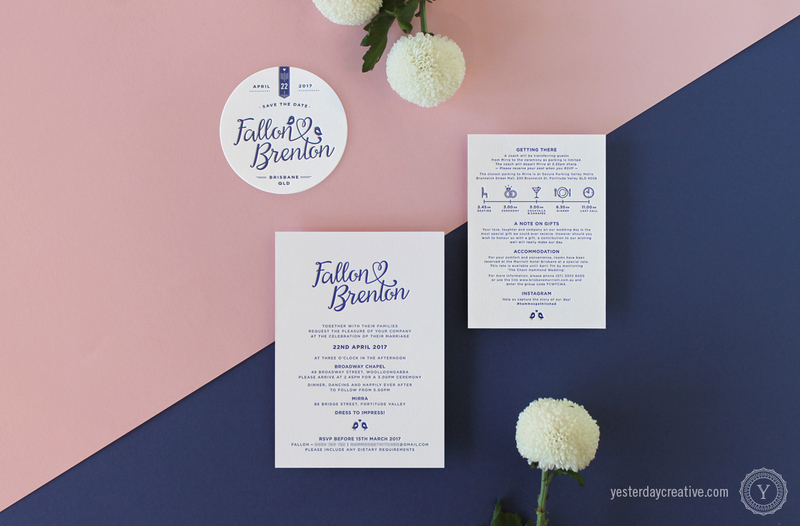 Heart typography, timeline and matching coasters. 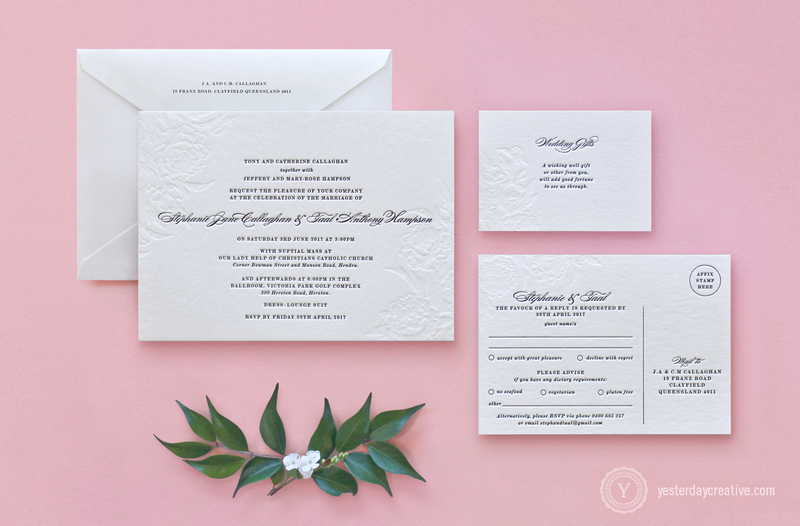 Vintage Floral in Rose Gold Foil. 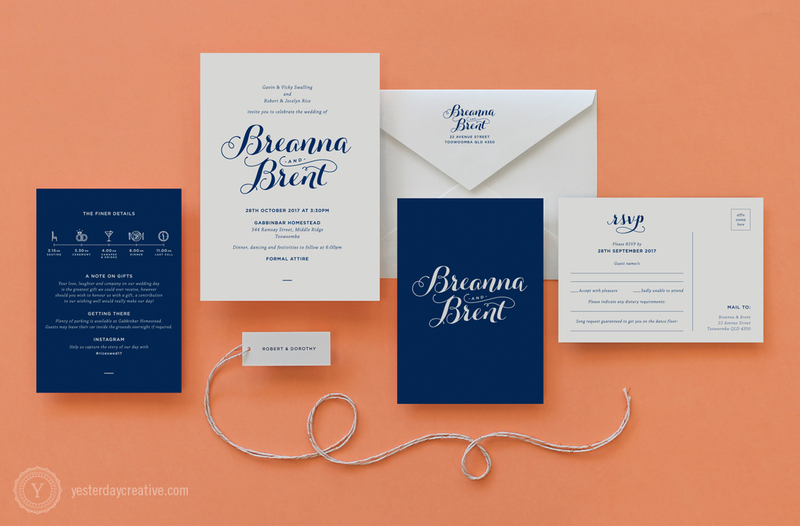 Modern design with the crisp impression of letterpress. 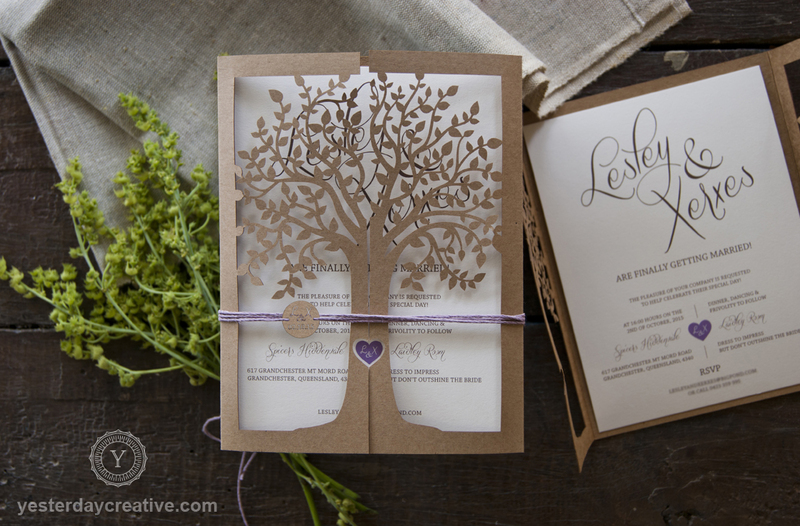 Laser-cut Tree Kraft Wallet Invitations. 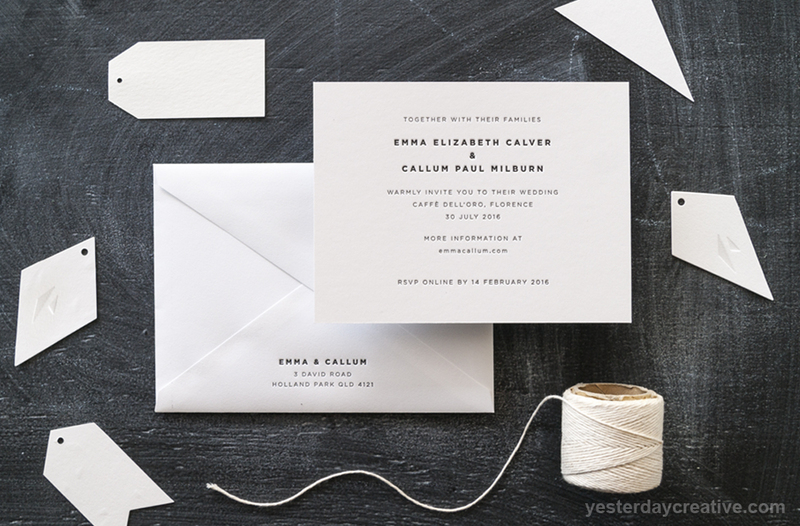 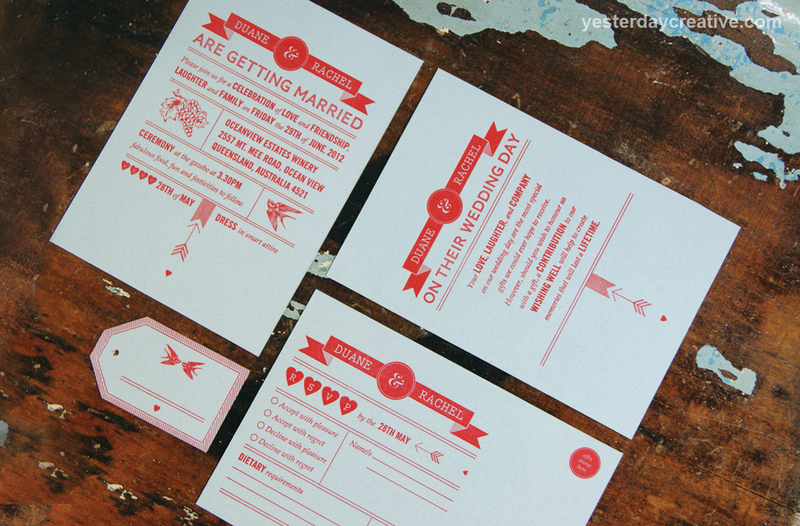 Hand-drawn heart script Letterpress Invitations. 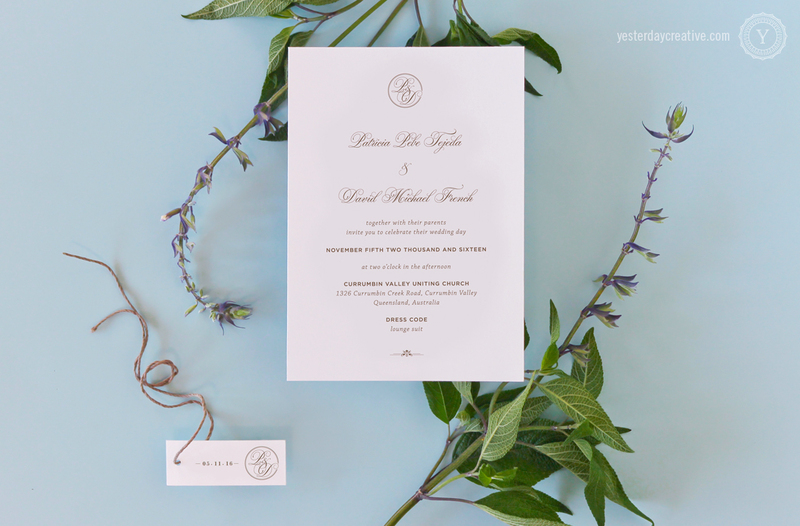 Beautiful hand type with classic typesetting. 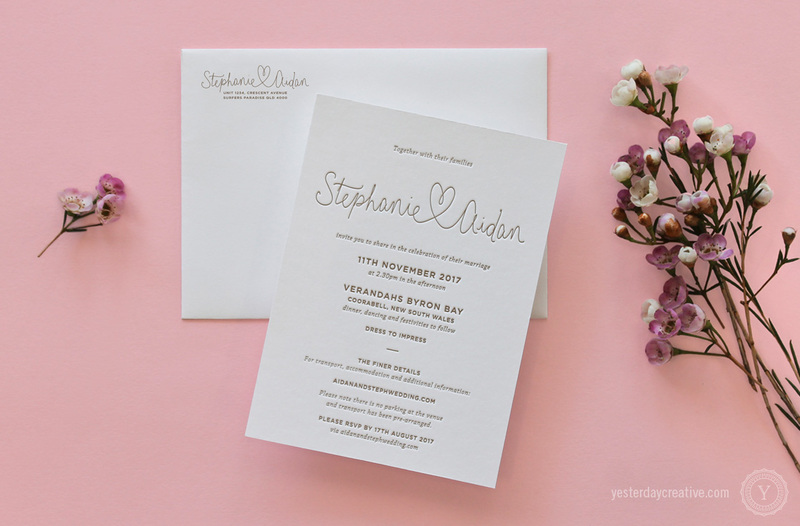 Beautiful floral wreath letterpressed in two colours. 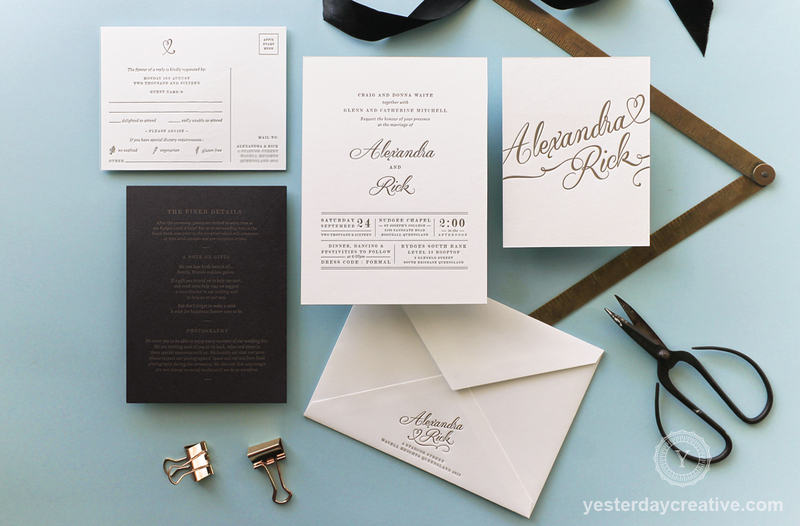 Classic Monogram design with a matching swing tag. 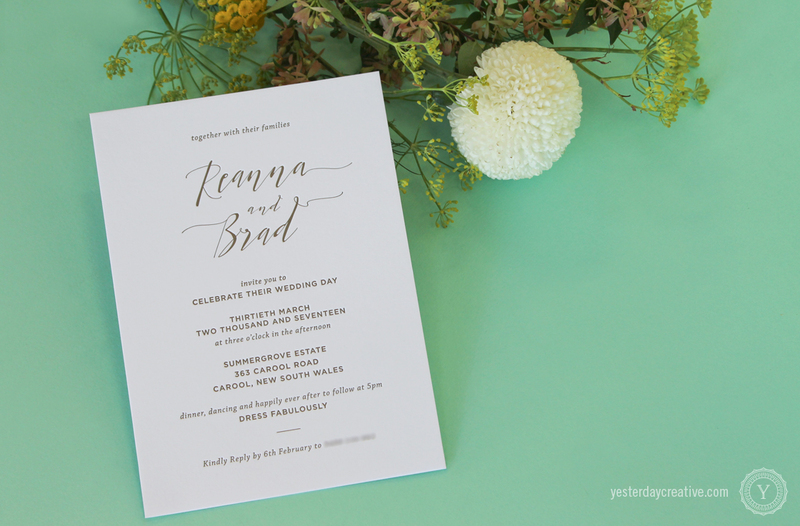 Classic script and typesetting with bordered invitation. 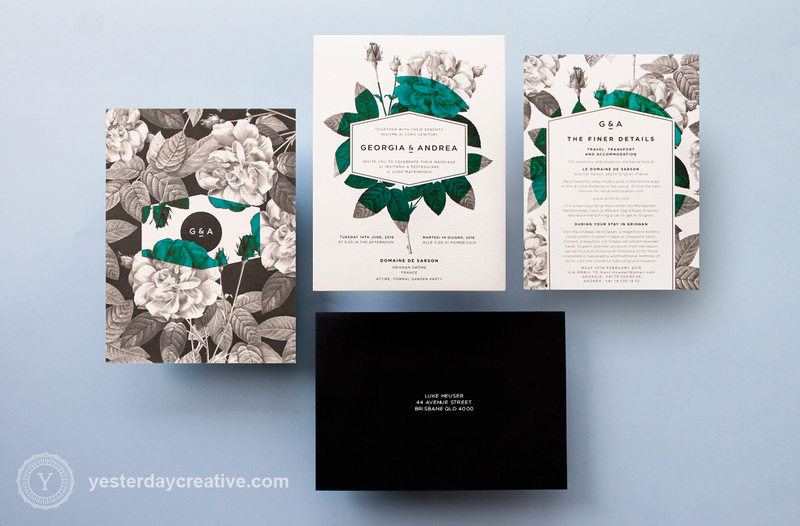 Vintage rose illustrations with coloured overlay. 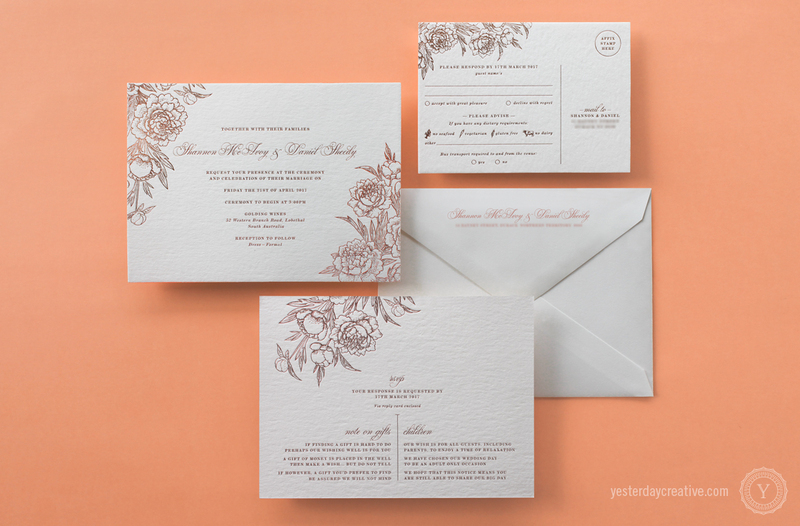 Floral blind emboss with vintage script and details. 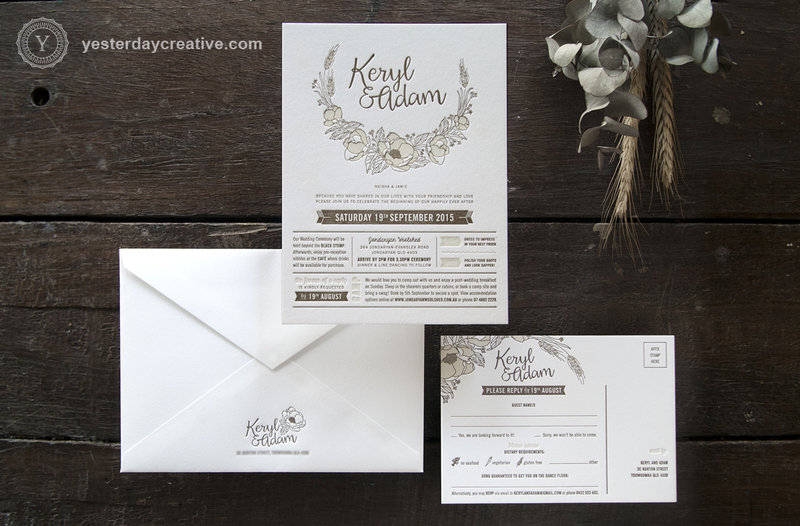 Fun retro-vintage inspired invitation suite.